Welcome to LEGGAT PLANT ltd. Established over 140 years ago with one specific aim in mind - to provide a safe, efficient and superior quality service to the Construction Industry. 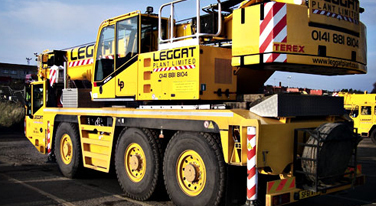 Leggat Plant specialises in providing Contract Lifting, all types of Transportation, Earthmoving, Road Sweeping and Machinery Removal services to the Construction Industry. Our highly trained and professional personnel are all directly employed by us and between them have many years experience. With all Contract Lifts, comprehensive Method Statements and Risk Assessments are supplied as a matter of course for each contract, all at no extra cost! A full site survey, again at no extra charge, can also be provided if required. 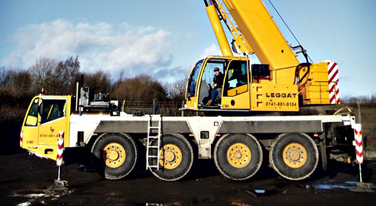 Leggat Plant has earned a reputation for safety, quality, service and value. A reputation which we believe is second to none in the industry. A reputation of which we are extremely proud. 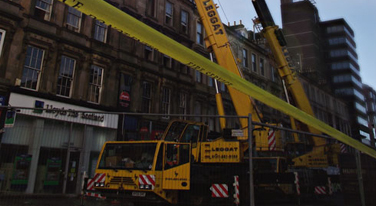 Full range of Cranes available – 25 tonne to 130 tonne. Site Visits Appointed Persons Fully Insured. Machinery removals & installations National Coverage.